Every year we open presents before Christmas! Can you believe it? No more staring at the presents under the tree. No more overload at Christmas time with all the presents and stockings and craziness. Just pure happiness and excitement from our children that they get to open a present! I do have to mention, we don’t go overboard with gifts. They get 2 little gifts from us, and 1 from Santa on Christmas. We don’t need more stuff in our house. 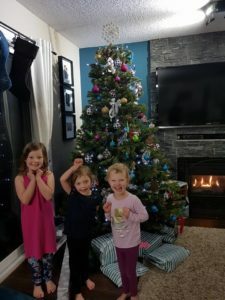 We get something little that they would like and than we put the rest of the money towards going on a trip, or hotel, or swimming passes, or anything we can enjoy together as a family. I wanted to start our own family tradition. We usually travel back home for Christmas and pack up the presents with us, to only repack them and take them back home. Why would we do this? The hassle. The risk of breaking the gifts or losing them at someone else’s house. I wanted to have our own family tradition. To be by our tree. To be in our house. To create childhood memories for our girls. 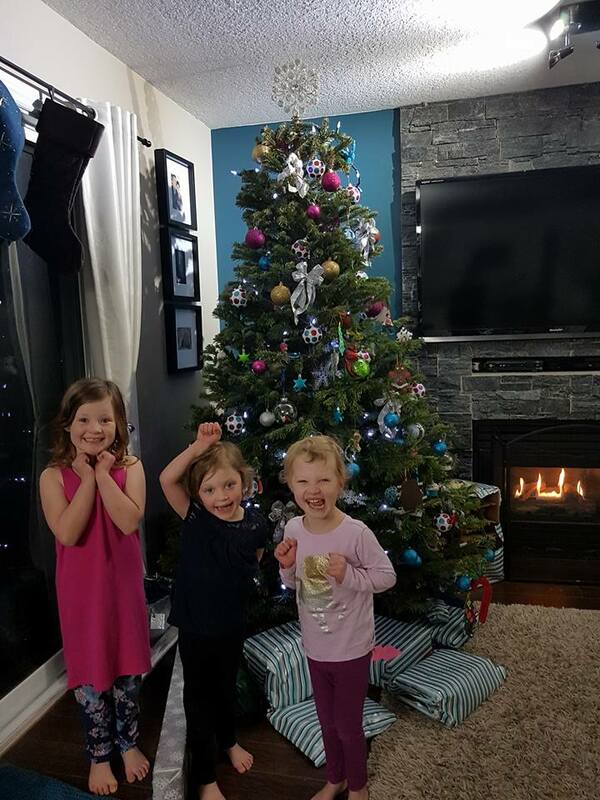 This year my 5 year old daughter wanted us to hold hands and go around the Christmas tree and sing Jingle Bells … so that’s what we did. The twinkle in her eyes and smile on her face was precious. I love every bit about our tradition ! Our girls actually get to play with and enjoy the presents they receive. They actually seem to appreciate the 2 little gifts we get them and have some time to play with them until they open another present at Christmas. Opening presents early makes me have my Sh#t together to buy and wrap my presents early. I don’t have to deal with the stress of busy malls trying to find a gift last minute! 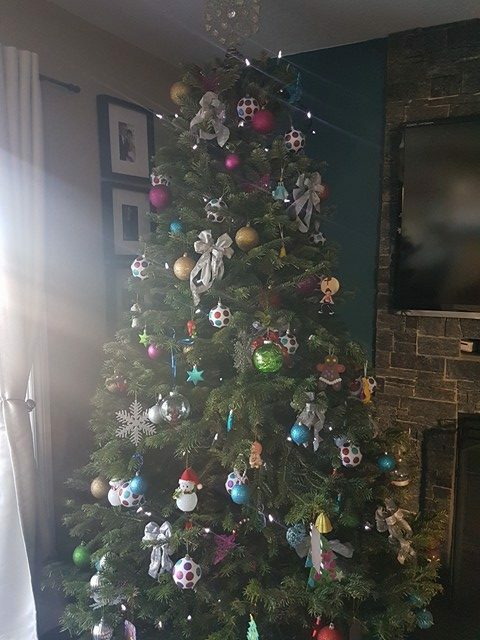 I can sit and relax the week before Christmas and admire my Christmas tree with a glass of wine in my hand! The holidays shouldn’t be a time to stress and worry. It shouldn’t be a time to find the “perfect” gift for someone or send the “perfect” family card to family and friends. It should be a time to count your blessings. To reflect on your year and look forward to the next. It should be a time to spend with family and friends. So open those presents early and enjoy the your last week(s) before Christmas! What family traditions have you started with your children? ← Is it Possible to Bake Healthier During the Holidays?